For Memorial Glass, 3D Photos, Crystals, Awards & More! 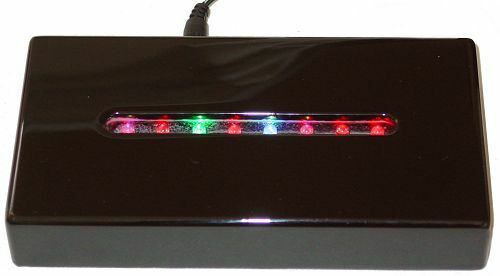 EACH LIGHT SLOWLY CHANGES COLOR! 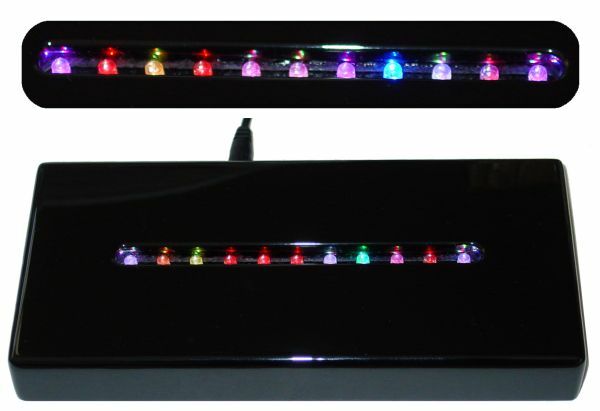 High tech, solid wood light bases have color LED lights that individually change colors slowly to create an INFINITE light show! 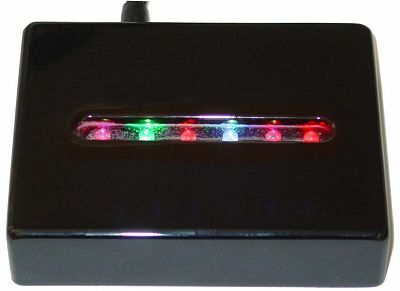 The extra bright color LED lights individually transition slowly through multiple colors including blue, red, yellow, green, pink, purple, orange and more for a mesmerizing light show. 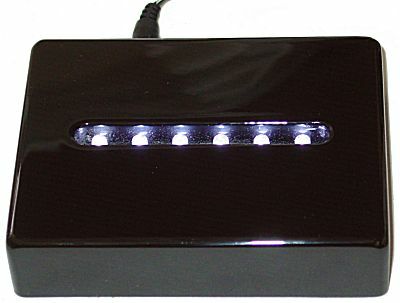 These upscale, gallery style black lacquer wood light stands have an on/off switch and a scratch free velour base. 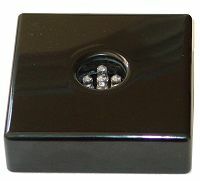 In Silver Gift Box with UL listed 4.5 volt adapter included. 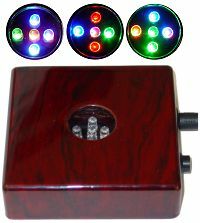 Heirloom quality wood light base has 6 extra bright white LED lights that stay on and do not twinkle. This craftsman quality, black lacquer wood light stand has an on/off switch and a plush velour base for scratch protection. Easily highlight your memorial glass, art pieces or crystals without the inconvenience of a bulky light stand or the hassle of batteries! or 2" to 6" Diameter balls or paperweights.